Shovel ready and very close to fully permitted. 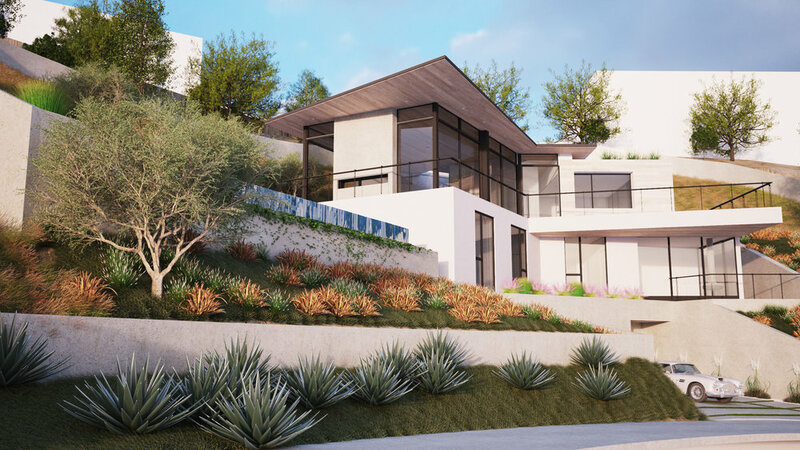 Architecturally stunning modern with ocean and canyon views, a home for your most tasteful client. Plans are for a 4 bed 3.5 bath SFR with 4,300 SqFt in Brentwood on a private cu-de-sac tucked away in the prestigious Crestwood Hills area overlooking the Santa Monica ocean with a view of Catalina Island and the canyon. To take full advantage of these great vistas, designers bspk opted for a reversed floor-plan, placing the living space and large decks on the upper floor maximizing also the indoor/outdoor experience. This 22,000 sf lot is one of the last remaining undeveloped parcels on the Westside of Los Angeles. Complete designs by bspk design inc., build your dream home on this spectacular view site lot.